What’s the meta with Batman? Revelations from DC’s latest event “Dark Days” and the pages of Suicide Squad #22 fuel an old discussion by granting Batman new life. Does being the World’s Greatest Detective qualify as a superpower? Seen here handily disarming Green Lantern Hal Jordan, the masked vigilante can make even the greatest of heroes and villains seem almost insignificant. Since he is the pinnacle of human physicality and intelligence many wonder if Batman isn’t a meta-human himself. The DC Universe defines meta-humans as beings with enhanced abilities, capabilities, or powers. While some are warriors gracing the halls of the Justice League, others are murderers and terrorists lacking any semblance of mercy. Their possible superiority is a fact the Suicide Squad’s de-facto ruler, Amanda Waller, fears greatly. As someone obsessed with control, her entire motivation lies in preparing for any meta-human situation, usually by way of acquiring another meta-human. 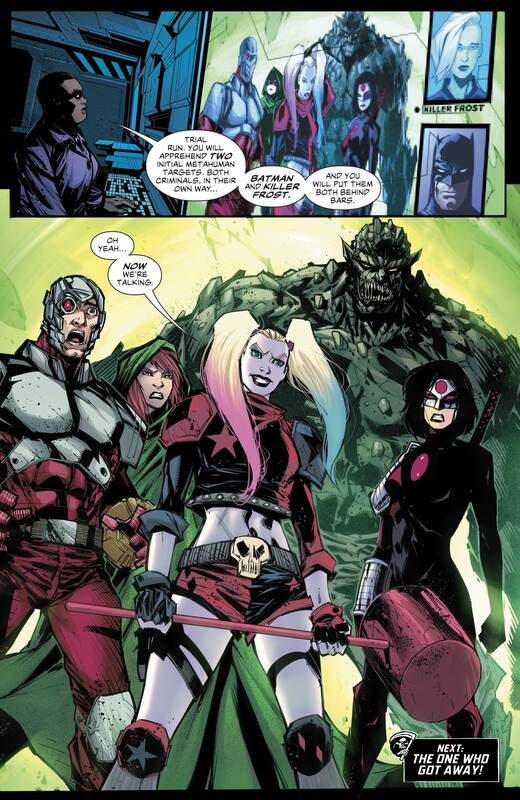 As seen above in Suicide Squad #22, Amanda Waller refers to occasional ally Batman as a meta-human for the first time. While her reasoning remains unknown, many have cited Scott Snyder’s event Dark Days as the source of her sudden change. In it, Joker discusses Batman’s recent resurrection thanks to an Nth-metal enhanced chemical called dionesium. Famous for turning men mad, the chemical is also the central element found in Lazarus Pits. 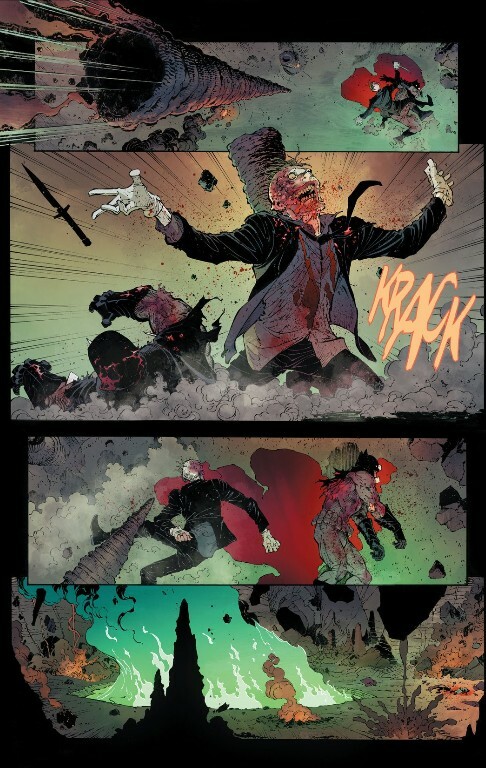 Within a short distance of such a Lazarus Pit, the Bat and Clown fought a vicious final battle at the climax of Scott Snyder’s Batman arc, “Endgame.” Thanks to the nearby luminescent lake the rivals are revived and their memories are wiped. The mysterious element completely heals their wounds, even returning Batman to the peak physical condition of his early years. So can this “revitalization” be considered a superpower? Snyder himself weighed in on the topic on Twitter. And there we have it. There may be no one authority on the matter, but Snyder tells it true. The long answer is no; the short answer is also no. And just a few months before Suicide Squad #22, we were treated to this panel of Batman confronting the Justice League and noting just how human he is in Justice League #14. In Snyder’s upcoming Dark Nights: Metal story, the Nth-metal itself may evolve into an ability we have yet to see. However, Batman is no better now than he was before. The martial arts prowess and the mastery of deductive thought, these were attributes Bruce Wayne trained meticulously for years to possess. Batman’s inception comes at the evolution of Bruce Wayne in both body and mind. The Bat’s youth is renewed; almost better than his younger self. But the work and training of his youth is why a more powerful self returns. Amanda Waller may have noticed such a change and labeled it a superpower. The designation may be born of ignorance, but a super-powered Batman is just the kind of nightmare that keeps Waller up at night. From a Vampire to a White Lantern, Batman has had quite a few encounters with abilities both frightening and wondrous. Every meta-human is gifted with great strength in some way, shape or form. Yet the Bat finds their weaknesses thanks to his intrusive intellect. It would seem to Batman that each power has its vulnerability, perhaps best exemplified by Superman and Kryptonite. 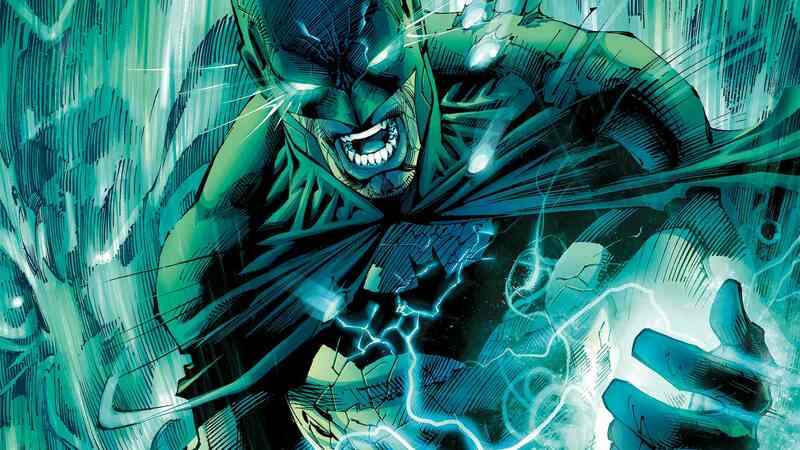 Batman doesn’t possess any of Big Blue’s power; neither is he susceptible to the mere presence of a glowing-green, foreign element. To him the benefit is simply not worth the liability. With nothing more than preparation and determination, Batman’s body and mind are honed to perfection as he sees it.